Facing redundancy can be an emotional, difficult time. Not knowing what the future holds can lead to more worries and uncertainty. With the right support and planning, you can start making your move towards a successful next step in your career. Whether you knew it may be coming or the news was a complete shock, being made redundant can feel like you’ve had the rug pulled out from under you. You’re probably going through a barrage of emotions: shock, denial, anger, worry, anxiety, uncertainty. Losing your job can impact your sense of well-being, negatively affect your mental health, relationships and confidence. It’s important to remember: you will get through this. What is redundancy, and why are people made redundant? Redundancy can happen due to a number of reasons. Your employer may be looking to cut costs, new technology may mean your role isn’t needed anymore, your workplace may be relocating to a new, uncommutable location, or they may be closing altogether. Whatever the reasons, you have legal rights. Your employer has a set of requirements they are legally required to follow before they can even begin the process. It’s your employers responsability clearly lay out their grounds to make you redundant. 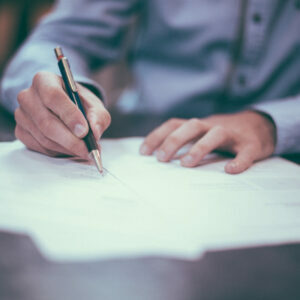 During the process, they will have to give you certain information about why the redundancy is occurring, how many people will be affected, which areas of the business it will impact, when redundancies will happen, and how your redundancy payment will be calculated. We share 10 simple steps to help you cope with the redundancy process and start the next step in your career. Understanding your legal rights and knowing what to expect can have a calming effect and help you feel in control. It’s important to know how much redundancy pay you will get, how long your notice period is, and if you’re able to leave sooner to start a new position. Once you have the basic details, you can start thinking more clearly, regain your balance, and face the next steps. The Money Advice Service has some great advice on understanding your legal rights when facing redundancy. The official Gov.uk website also has everything you need to know about redundancy, along with a simple tool to help you calculate your statutory redundancy pay. Based on your age, weekly pay, and how long you’ve been working in your current job, as long as you have been with your current employer for at least two years, you’re entitled to statutory redundancy. As well as looking at external sources for information and guidance, remember to check your contract, speak with someone at HR, and chat with your union representative to discuss your specific entitlements. Once you know what you’re entitled to (and when you’ll be paid), it’s worth working out a budget. Are there any areas you can cut back on? Could you save money by switching bill providers, changing tariffs on your mobile or broadband, or switching to cashback sites when shopping online? By addressing these areas early on, you can minimise how far your redundancy pay may need to stretch. Remember to check if there are any benefits or grants you may be entitled to whilst looking for a new job. Depending on which part of the country you live in, the main benefit you may qualify for is typically Jobseeker’s Allowance or Universal Credit. You may also be entitled to other benefits such as tax credit or help with housing costs. Worried about credit card debt, loan payments or bills? Citizens Advice can be one of the best places to turn for guidance. 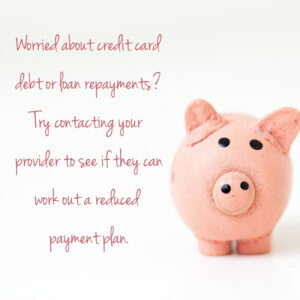 It can also be worth contacting your provider directly to explain your situation, as they may be able to work with you to create a reduced payment plan. If you are worried about keeping up with mortgage or loan repayments, check to see if you are covered by any existing insurance policies. Try to carefully budget any lump sum redundancy payment you may receive. It’s not something we like to think about, but there’s no guarantee as to how quickly you’ll be able to find a new position. Your location, industry, job market, and qualifications can all play a big factor; finding the right job can be as much about luck and timing as skill and experience. Thoughtfully managing your finances can be key to reducing feelings of stress and worry. A big part of the redundancy process can be understanding what’s happening and why. It can help to acknowledge that the decision isn’t personal – there’s a logical, commercially driven decision behind what is happening. Knowing what has lead to redundancies can help you to see that the decision wasn’t a personal one. Losing your job can be extremely stressful, but you aren’t alone. According to the Office for National Statistics, three in every 1,000 employees were made redundant between November and January 2018-2019. You may not have control over losing your job, but you are able to control how you deal with that loss and move forward. Speaking with your loved ones can be a crucial part of the redundancy process. It’s important to be as open and honest with your partner as early on as you can. Together, you can tackle any financial or emotional worries; you don’t have to face these alone. Opening up to close friends and family can help. You have nothing to be ashamed of; redundancy can happen to anyone, at any time – it isn’t a reflection of your work ethic, the quality of your work, or you as a person. By opening up, loved ones can offer support and guidance through this tough time. If you don’t feel ready or able to talk things through yet, that’s ok too; it’s more important to focus on what makes you feel comfortable and works best for you. Once you’ve got your finances sorted, it’s time to figure out what comes next. Having the right mindset can be key in starting the next phase in your career. Approaching your options with a positive mindset can help increase your productivity, allow for more effective communication, boost your confidence in what you say (and how you say it), as well as allowing you to present the best possible version of yourself. Practising regular mindfulness and meditation can be a simple way to help re-centre and re-focus your energy, as well as to examine and understand your motivations. Protecting your energy can also include examining how you frame what is happening in your life and how you can move forward towards new opportunities. By examining how you frame your redundancy, it can help you more positively view what has happened, and how you can learn from it. We aren’t saying you have to be happy about what’s happening, but showing you are capable of moving on and letting go of any resentment can highlight a more positive attitude potential employers may be looking for. While we hesitate to say redundancy is a ‘good thing’, it can present the opportunity to help you take stock of your skills, talent, and experiences. Is there anything you want to change in your career? Have your goals remained the same, or is now the chance to start on a new journey? Changing jobs or career paths can provide the chance to readdress your work/life balance if your old role left you feeling exhausted, stressed, or on the path to burnout. While discussing your option with friends and family can be helpful, talking things through with an impartial, outside person can be a big help in creating clearer goals and identifying what you want from your career (and life) as a whole. If you aren’t sure where your passions lay, what you want to do next, or what your long-term goals are, working with a personal development coach can help. A coach may be able to help you set goals, track your achievements, and start recognising your progression. A career coach can help you in a number of different ways, from teaching you how to identify obstacles to improving your CV. Entering the job market can feel both liberating and terrifying. 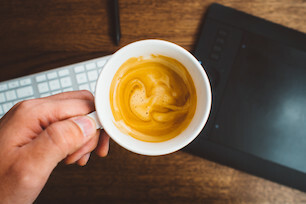 Although it can be tempting to open up your search to a wider range of opportunities, make sure to consider factors that affect your day-to-day satisfaction. Keeping geographical location, economic factors, and creativity in mind can create a solid basis for your search. For example, it’s great to go back and retrain for a new career – but can you afford to do this without working at the same time? Maybe you’ve found the perfect career move, but have you considered the additional stress a longer commute may cause? Or perhaps you’ve found a well-paying role in the right area, but is going to challenge and engage you? It’s good to dream big and keep your options open, but make sure you factor in areas that may affect your well-being. It’s not about what you know, it’s about who you know. If you are looking for a new position, making the most of your existing network and expanding on your contacts can be beneficial. Searching for a new job can be daunting. To set yourself up for success, it’s important to make sure your CV is up to date. Take the time to consider all of the skills, tasks and achievements from your last role, and how you can take these forward into a new position. It’s not just about stuffing keywords into your CV in hopes you’ll be picked by online algorithms; your CV gives you the space to showcase your accomplishments, experience, and personality. It’s not just an overview of how your career has progressed and developed – it’s the opportunity to show how well rounded you are as a candidate. While you’re at it, tailoring each cover letter to suit each role is key. Having templates can be handy, but it’s important to personalise each cover letter with details about the specific role you are applying for, what they are looking for, how you fit the criteria and why you’re interested in the role. Simple details like making sure you get the hiring manager’s name right can help create a good first impression. If you aren’t sure how to get started, Reed offers some great redundancy CV and cover letter templates, or check out these six tips to create a stand-out CV. It can be tempting to spend every waking hour searching for new jobs, but putting that extra strain on yourself won’t help. By putting 110% into looking for a new role, you can neglect your well-being, become disheartened, and start making small but silly mistakes (like sending the wrong cover letter to the wrong company) that can damage your prospects. It’s important to take time to look after yourself, practice regular self-care, and spend quality time with your loved ones. Alternative therapies can be a simple way to help you manage stress, mitigate some of the symptoms of ill mental health, and act as an outlet. If you are experiencing mild signs of depression, Mind recommends several alternative therapies that may be able to help. Staying active can be another simple way to boost your mood and improve your overall sense of well-being. Try to eat regular, healthy meals, cut your caffeine and alcohol intake, and decrease how much junk food you eat; food can have a surprising effect on our mental health and wellness. To discover more about redundancy coaching, what to expect, and what coaching sessions involve, visit our redundancy coaching page or to find an experienced coach near you, check out our search page.